Today, it is a bit of a fossil of before the economic boom with not a modern development in sight. 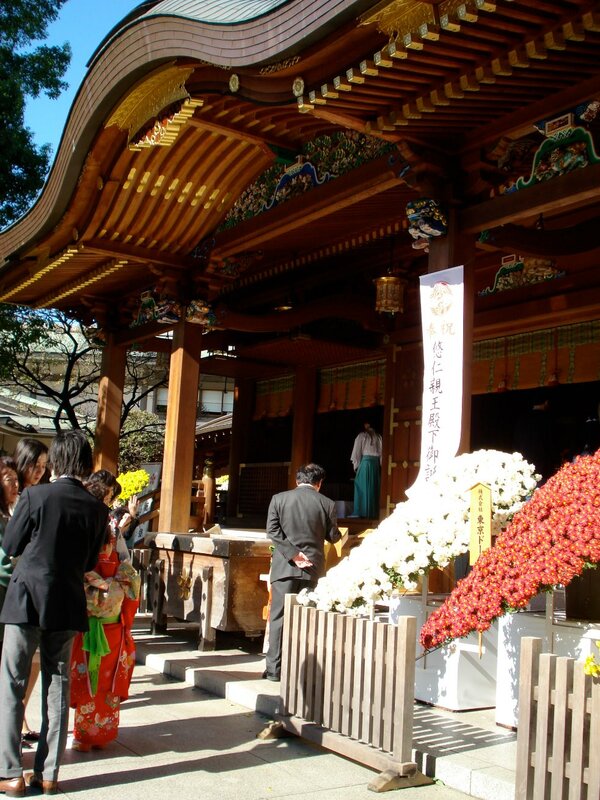 Its most popular attractions are Ueno Park, Ueno Zoo and the street market, Ameyoko. The area also probably has the highest concentration of museums and art galleries in Japan. Ameyoko is a busy bazaar-style market with hundreds of stalls that runs about 400 meters besides and under the elevated track from JR Okachimachi Station to JR Ueno Station. It is famous for its jam packed stores, bargain prices and a dingy, no-frills shopping experience. Kyu Iwasaki-tei Gardens is the former estate of the Iwasaki clan who were the founders of Mitsubishi. The main attraction is the impressive two story manor house that was completed in 1896. The gardens are south of Ueno and just west of Shinobe Pond. Ueno park was the first public park created in Tokyo, Japan. The plateau it is on was part of a temple complex that was destroyed during the Boshin Wars. It opened in 1876 after three years of construction. In 1924, the land was officially given to Tokyo City through an imperial land grant. Ueno Park has probably the highest concentration of museums and art galleries in and around the park. 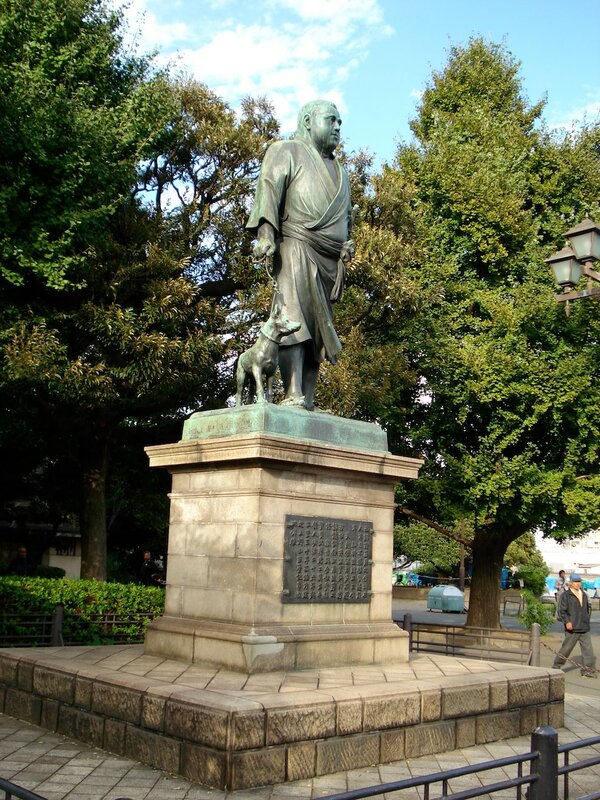 The statue of Saigo Takamori walking his dog at the southern edge (near the train lines) is one of Ueno's most famous sights. Ueno Zoo in Tokyo is the most famous and prestigious zoo in Japan. The zoo welcomes over 3 million visitors a year and displays the largest number of animals of any zoo in Japan. Ueno Zoo is one of three zoos that has pandas in Japan. Shinobazu Pond is a large lotus pond south of Ueno Zoo. The temple on the island in the middle of the pond is dedicated to the goddess Benzaiten. The west side is a boat pond. The area looks best during the late summer when the lotus blossoms are blooming. 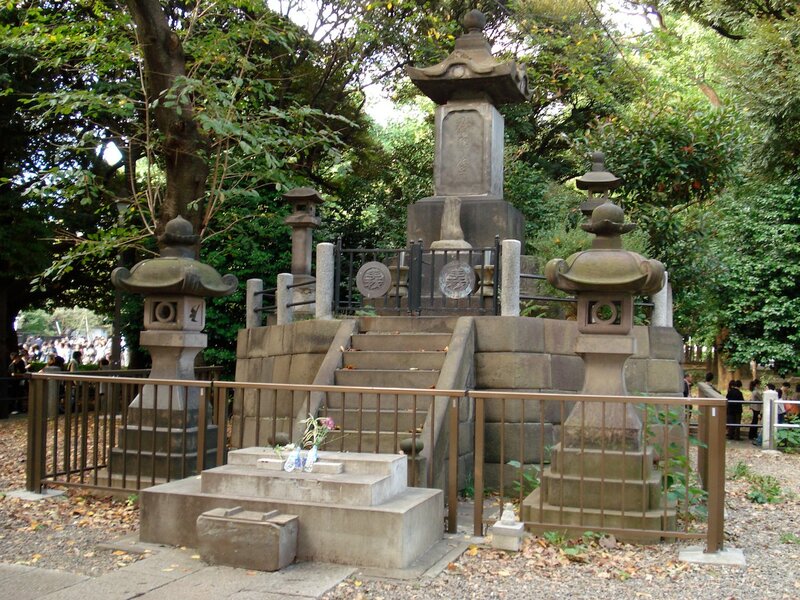 Yanaka Cemetery's (founded 1874) claim to fame is that famous Japanese people are buried here. Numerous temples are located in and behind the cemetery. 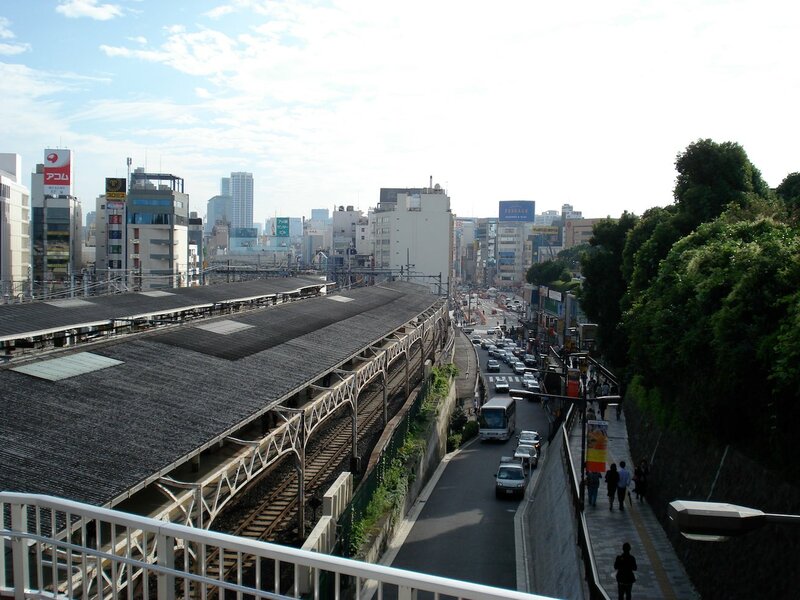 It is located one stop north of Ueno (Nippori) on the Yamanote Line. Michizane Sugaware, the god of learning, is enshrined in this shrine that dates back to 458. 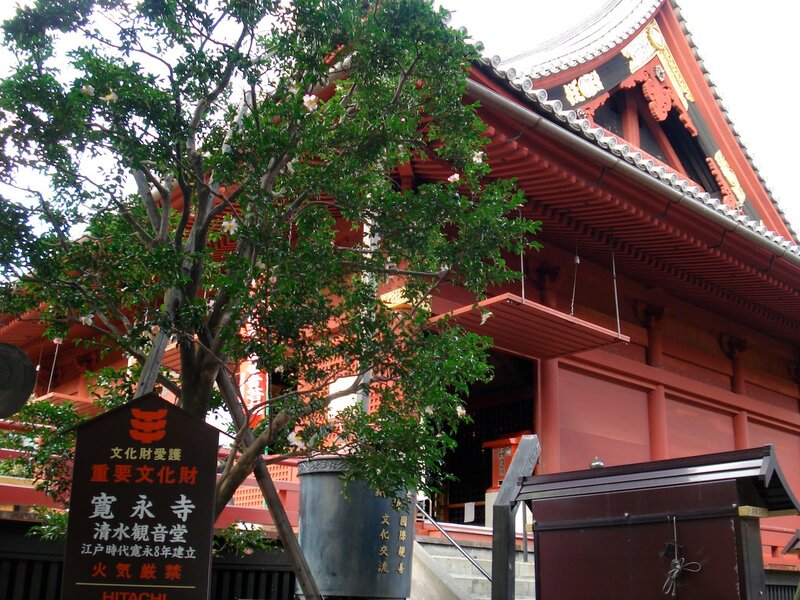 This historic shrine is west of Okachimachi Station along Kasuga Dori. It is a good example of a smaller traditional shrine built with Japanese cypress. The Ueno Royal Museum (上野の森美術館) opened in 1972 and was renovated in 1992. Temporary exhibits are now shown in this museum. 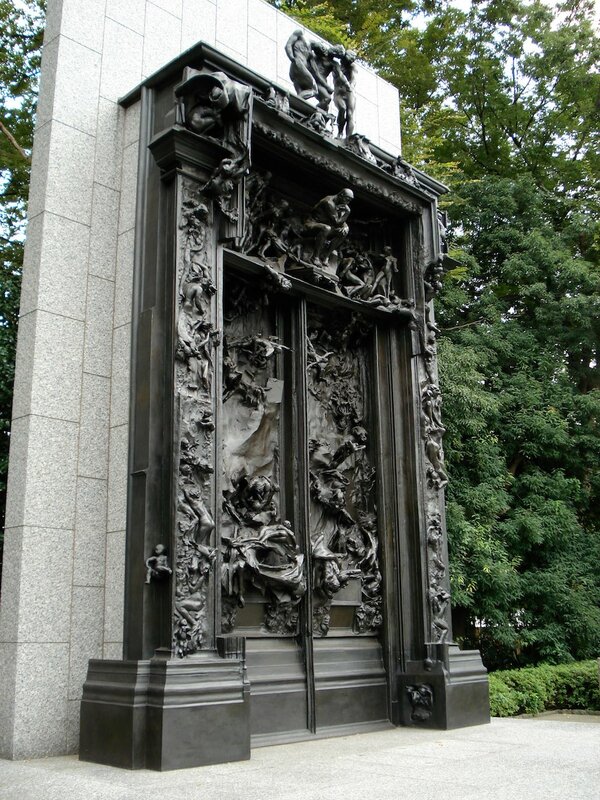 Located in Ueno Park. The National Museum of Western Art houses one of the best collections of western art from the 15th to 10th century. It was established in 1959 with art from the Matsukata collection. Closed on Mondays or the day after a holiday Monday. Open 9:30 to 17:50 or 20:00 on Fridays. Located in Ueno Park. 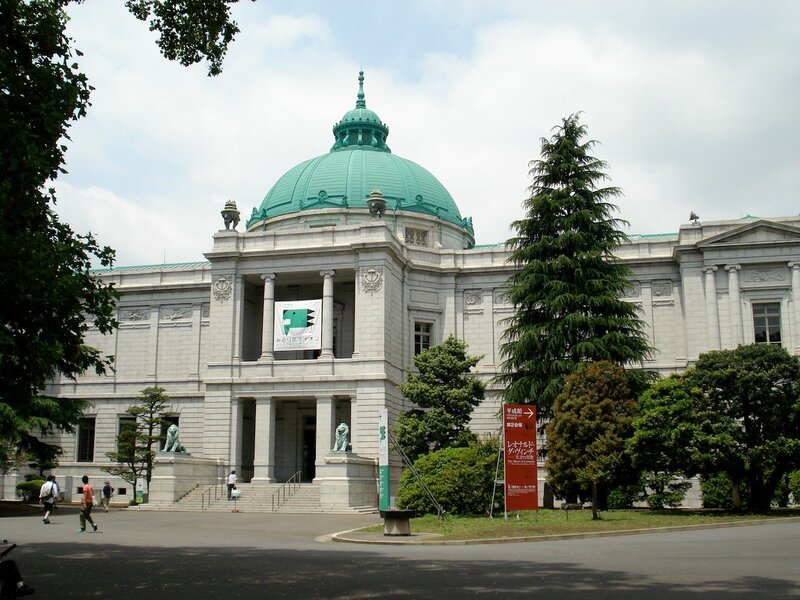 The Tokyo National Museum was created in 1872 and is the oldest and largest museum in Japan. 87 of its pieces are national treasures and a further 610 are designated to be Important Cultural Property. Open 9:30 to 17:00 and closed on Mondays (or day after a holiday Monday). Located in Ueno Park. The shitamachi (or downtown) of Tokyo is the focus of this small museum. Inside is laid out to resemble a 1920s street scene with crowded residences and shops. Open 9:30 to 16:30. Located in Ueno Park. Closed on Mondays. 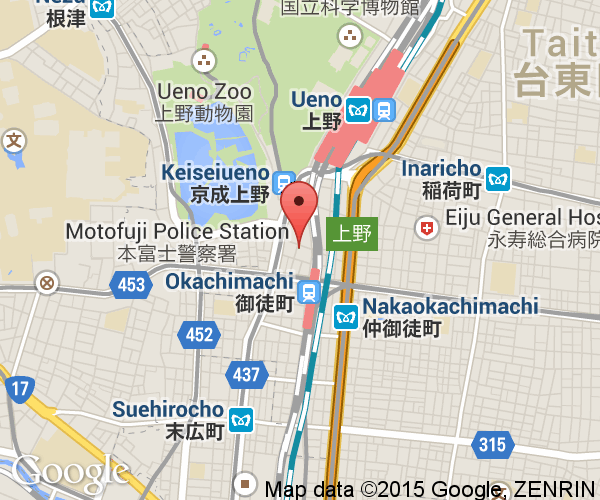 JR Ueno Station is about 7 minutes north of Tokyo Station on the Yamanote Line. JR's Keihin-Touhoku Line runs parallel to the Yamanote Line from Tabata to Shinagawa in the south.The Joestu and Tohoku Shinkansen both stop at Ueno. By subway, the Tokyo Metro's Ginza and Hibiya Lines both stop just south of JR Ueno Station. Toeri Oedo Line has a station to the west of JR Okachimachi Station which is close to Ameyoko and a 15 minute walk from the park. The Keisei Line offers express service at under 60 minutes to and from Narita Airport. The entrance is west of JR Ueno Station and along the south eastern edge of the park.